Following in the footsteps of most visitors, we began our trip in the capital city of Lima. After the long flight we were all exhausted. Somehow we managed to find the energy to go for a wander, sample some local Peruvian dishes and enjoy the first of many pisco sours, a local drink that tasted both sweet and sour. The following morning we took a short flight into the Amazon for a pit-stop in the jungle. Despite the humidity this was definitely one of the highlights of the trip. 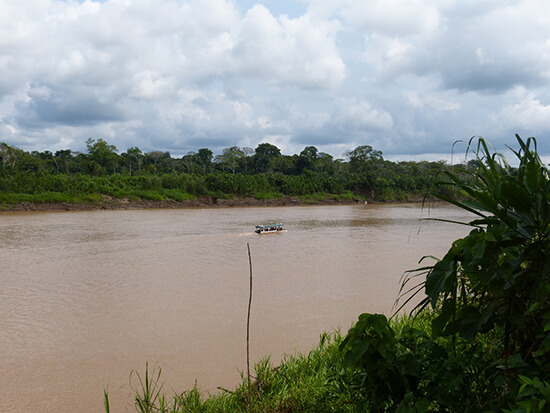 We stayed at the G Lodge, a short boat trip from the town of Tambopata. The windows of the lodges were made of fine netting instead of glass, allowing us to hear the chirps and croaks of the wildlife throughout the night which was incredible. We were truly off the grid here, so much so that the lodges where we slept had no electricity, leaving us to rely on candles for light after dark, all of which added to the experience. 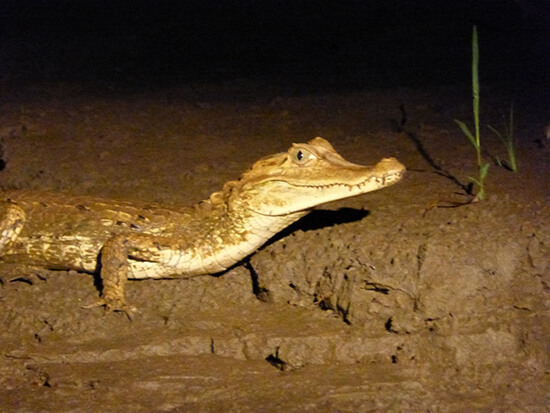 While enveloped by lofty emerald trees and shrubs, we took part in various activities including a wildlife trek where we saw monkeys, macaws and a tarantula, a local farm visit, and a night time caiman-spotting cruise. If all that wasn’t enough, we sampled some delicious and authentic food too – in particular I loved the fried plantain, cassava (a root vegetable), cecina (the Amazonian take on chorizo) and fresh fruits. 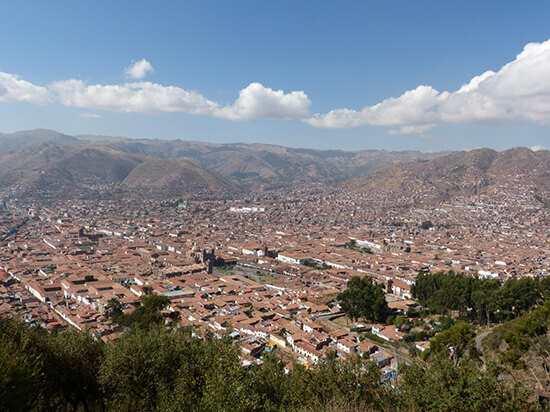 Next we moved onto heady Cusco – at 3,400 metres above sea level, the city’s high elevation gave us the chance to adapt to the altitude before we tackled the valleys. European in feel and style, it had lots of small streets, shops and restaurants to explore. 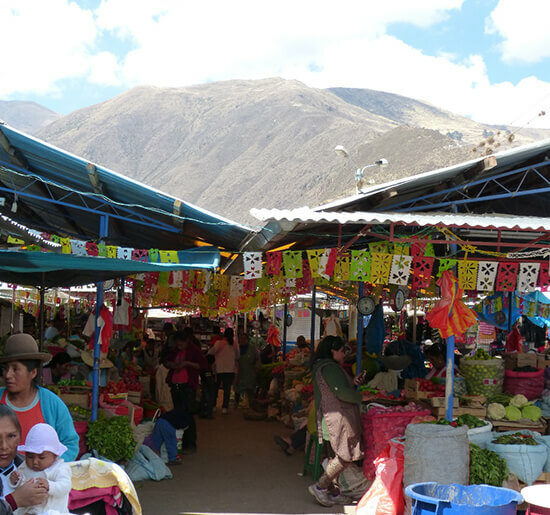 We spent our time here sightseeing, seeing beautiful architecture in spots like Cusco Cathedral, and searching for souvenirs to take home – scarves and blankets made from soft alpaca wool were especially popular. We also undertook a cocktail masterclass and cooking demonstration at a local restaurant which really give us a taste of the city’s flavour. But soon enough we heard the call of the Sacred Valley. 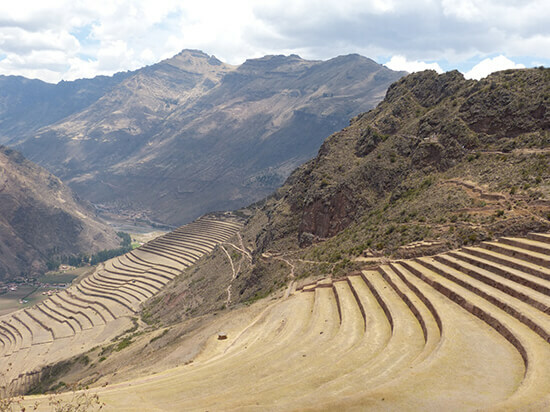 We moved on to visit the ruins at Pisac as well as being shown some of the community projects run by our in-destination touring partner G Adventures. We learnt about the work G does to give back to the locals and support them, before eating at a traditional community restaurant, which served up some of the best food I’d had on the entire trip. Jealous? You should be. We were treated to a three-course meal featuring freshly baked rolls, colourful quinoa salad, stuffed peppers, refreshing fruit juices and the most delicious potatoes. 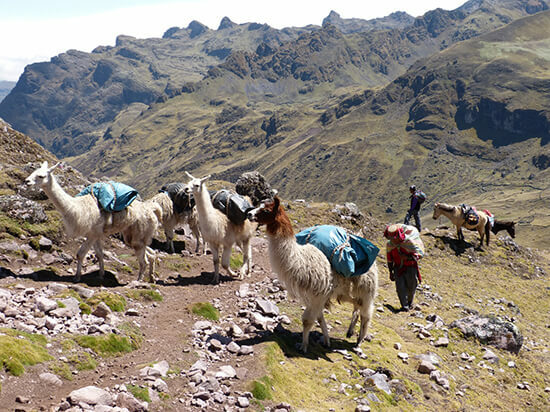 The toughest part of the trip was still to come though: a three-day trek through the Lares Valley. 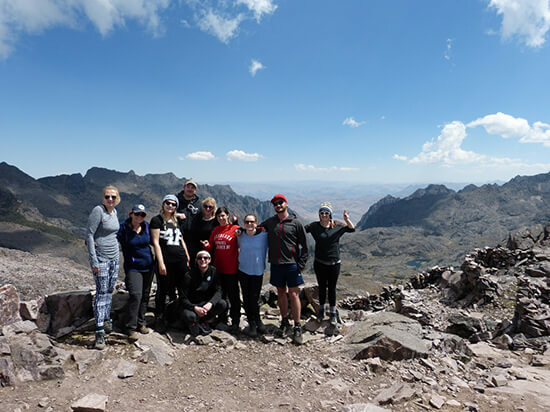 The hike itself wasn’t too difficult, however the high altitude and camping overnight in very cold conditions made the experience a little bit more challenging. We wrapped ourselves in as many layers as we could, but the cold still crept in somehow, so much so that being woken with hot tea and warm water to wash with in the morning was a real treat! That said, it was all worth it for the surrounding scenery, a postcard-perfect confection of snow-capped mountains and surreal turquoise lakes. Of course the high point in our trip was the visit to Machu Picchu. We got there very early, just before 6am, and although it was overcast to begin with, the clouds soon cleared, allowing us to see the ruins in all their glory. Seeing this iconic sight for the first time was an incredible feeling and, at first, almost didn’t feel real. In spite of the heat we decided it would be remiss of us not to undertake the walk up to the Sun Gate, and we were right: the views over the ruins and steep surrounding mountains the whole way were fantastic. It really put everything into perspective and the setting was just as impressive as the site itself. Overall this trip was a fantastic, whirlwind adventure. There is just so much to see in this amazing country, and so many incredible local people to show it to you, that I will most definitely be back for more. 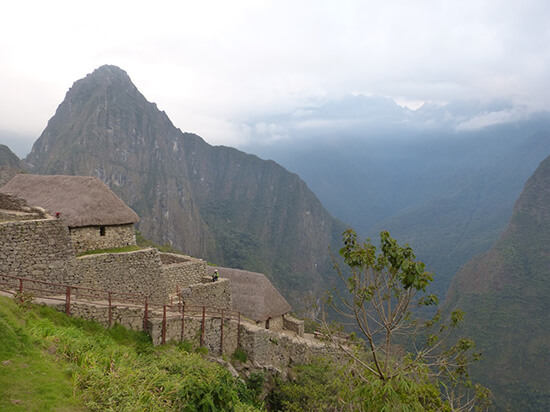 Interested in one of our tours or Small-Group Journeys to Peru? Speak to one of our Travel Experts today about booking your next adventure.